Rumor is that Warner Bros Games is working on the remaster for Batman Arkham City and Batman Arkham Asylum for the PlayStation 4 and the Xbox One. 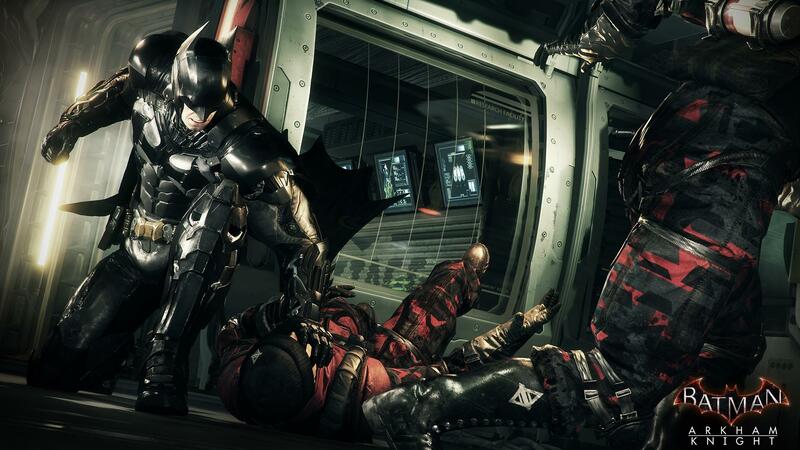 We already know that Warner Bros Games and RockSteady studios are working on Batman Arkham Knight which is the latest addition to the Batman Arkham series and is scheduled to release on multiple desktop and console platforms on the 23rd of June, right after E3 2015. This remaster may make its way onto PS4/Xbox One and possibly Desktop platforms aswell. No official word has been released for these remasters but we earlier today, Batman “Arkham City and Asylum” Remastered survey was leaked online. The survey was an official one sent out by Warner Bros Games and it inquired about their feedback on previous Batman Arkham titles. Batman Arkham City and Arkham Asylum – A Remaster on the Cards? 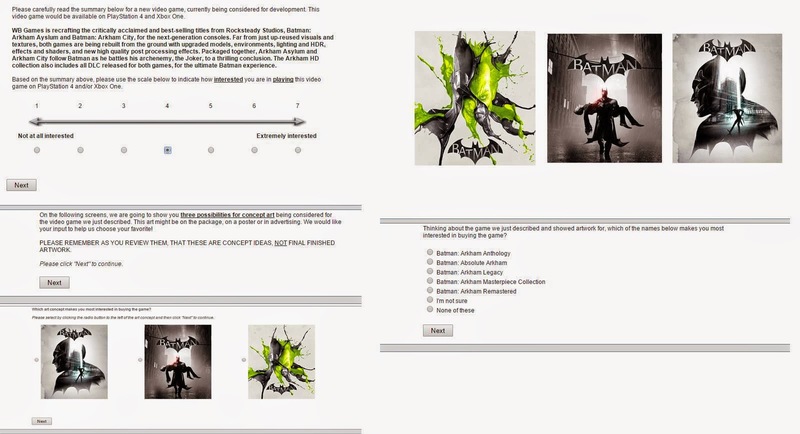 The picture below shows a screenshot of the leaked survey and as you can see that the writing on the to left clearly states that the survey is for the remaster of Batman Arkham City and Batman Arkham Asylum on next gen consoles. It also states that both of these are being built from the ground up with upgraded models, environment, lighting and HDR, effects and shaders, and new high quality post processing effects. It all sounds very impressive when you say it like that but the real question is if the remake is dependant on the surveys result or will Warner Bros go ahead with it even if the surveys results are not upto the mark. You can also see above that the survey goes into the specifics quite readily which begs the question if Warner Bros is already on it or not. Personally, it would’ve created for a much better result in terms of sales if the remakes came before the final chapter of Batman Arkham Knight. But it looks like that the remake will probably make its way onto PS4 and Xbox One and will include all DLC released for both the games, making it a complete Batman package. Here is where you come in. Let’s say you were asked to fill the above survey, would you buy Batman Arkham City and Batman Arkham Asylum Remastered on your PS4 or Xbox One given the major improvement in graphics but the same old story line? Tell us in the comments below and also share your take on the effectivity of such a survey.